For the last 6 years I have been working at a laboratory of clinical immunology in one of the most prestigious University Hospitals in the City of New York. 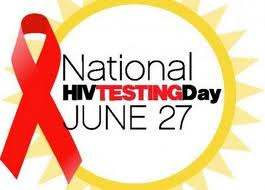 Here I have had the opportunity to personally run and get to know in detail the current tests used for the diagnosis of HIV status, namely, the ELISA, Western blot and Viral Load tests. 1. Diluting the serum for the ELISA testThe ELISA test is a test for antibodies against what is supposed to be the Human Immunodeficiency Virus or HIV. To run this test, an individual’s serum has to be diluted to a ratio of 1:400 with a special specimen diluent. According to the test kit manufacturer this diluent contains "0.1% triton X-100, Bovine and Goat Sera (minimum concentration of 5%) and Human T-Lymphocyte Lysate (minimum titer 1:7500). Preservative: 0.1% Sodium Azide" (1). This extraordinarily high dilution of the person’s serum [400 times] took me by surprise. Most serologic tests that look for the presence of antibodies against germs uses neat serum [undiluted]. For example, the tests that look for antibodies to hepatitis A and B viruses, rubella virus, syphilis, hystoplasma and cryptococus, to mention a few of them, use straight serum [undiluted]. 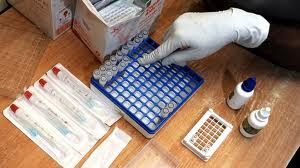 However, to try to prevent false positive reactions some serologic tests use diluted serum; for example this is the case with tests that look for antibodies to measles, varicella and mumps viruses which use a dilution of 1:16, to cytomegalovirus [CMV] 1:20 and to Epstein-Barr Virus [EBV] 1:10. The obvious questions are: What makes HIV so unique that the test serum needs to be diluted 400 times? And what would happen if the individual’s serum is not diluted ? To answer these questions I ran an experiment in a medical laboratory in Yorktown Heights, New York. I ran it using the same test kit reagents that are usually used to run the ELISA test in most clinical laboratories worldwide (1). I first took samples of blood that, at 1:400 dilution, tested negative for antibodies to HIV. I then ran the exact same serum samples through the test again, but this time without diluting them. Tested straight, they all came positive. Since that time I have run about 100 specimens and have always gotten the same result. I even ran my own blood which at 1:400 reacts negative. At 1:1 [undiluted] it reacted positive. I should mention that with the exception of my own blood, the patient samples all came from doctors who requested HIV tests. It is therefore likely that most of the blood samples that I tested belonged to individuals at risk for AIDS. According to Abbott Laboratories, the absorbance value [yellow color intensity] "develops in proportion to the amount of antibodies to HIV-1 which is bound to the bead" (1). What I noticed is that the absorbance values of the specimens that tested negative when diluted [1:400], but positive when undiluted [1:1], had lower values that the samples that, diluted, react positive on both the ELISA and Western blot tests. This would probably mean that the blood that is negative when diluted but positive when undiluted has a lower level of antibodies than the diluted blood that is doubly positive and, therefore, may probably test negative on the Western blot test. However, I have not had the opportunity to check this hypothesis. The following graphic illustrates how blood that reacts negative for HIV at 1:400 ratio always turn positive when run at 1:1 [undiluted]. It is important to note that the Western blot antibody test for "HIV" also needs serum to be diluted. Although it too has an unusually high dilution, here the individual serum is only diluted at a ratio of 1:50 (2). I have not yet had the opportunity to run this test with undiluted [1:1] specimens. 3.1. Everybody has HIV antibodies. It is accepted worldwide that the ELISA test for HIV detects antibodies against what is known as the Human Immunodeficiency Virus (3-6). And the pharmaceutical company that commercializes the ELISA kits states that "Abbott HIVAB HIV-1 EIA is an in vitro qualitative Enzyme Immunoassay for the Detection of Antibody to Human Immunodeficiency Virus Type 1 (HIV-1) in Human Serum and Plasma" (1). Since all undiluted blood specimens react positive on the ELISA test, a test that supposedly tests for antibodies to HIV, the results presented here suggest that every single human being has HIV antibodies. And this suggests that everybody has been exposed to HIV antigens. This would mean that all of us have been exposed to the virus that is believed to be the cause of AIDS. The people that react positive even at a dilution of 1:400, would be the ones that have had the highest level of exposure to HIV antigens. 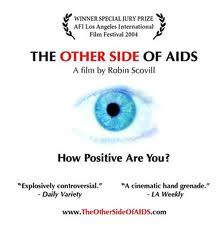 The rest of the people - the ones that only react positive with undiluted serum [1:1] - would have had a lower level of exposure to HIV. 3.2. Everybody has different levels of HIV infection. It is also believed worldwide that a person that reacts positive for antibodies against HIV has not only been exposed to but is infected with a deadly virus that causes immunedeficiency (3-6). Therefore, the positive reactions of all undiluted serums would mean that everybody, or at least all the blood samples that I have tested, including my own, are infected with this "deadly" virus. The ones that react positive at a ratio of 1:400 would simply have a higher level of "deadly" infection than the "deadly" infection had by the ones that only react positive with undiluted serum. 3.3. The test is not specific for HIV. The results presented here could also mean that the tests used for detecting antibodies to HIV are not specific for HIV, as has been explained previously (7-14). In this case, there would be reasons other than HIV infection, past or present, to explain why a person reacts positive to it. The test also reacts positive in the absence of HIV (7-14). 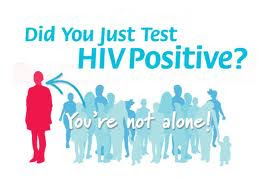 The scientific literature has documented more than 70 different reasons for getting a positive reaction other than past or present infection with HIV (7,10,11,14,15). All these conditions have in common a history of polyantigenic stimulations (15,16). Even Abbott Laboratories is well aware of the specificity problems with the ELISA test. This is why they state: "EIA testing alone cannot be used to diagnose AIDS, even if the recommended investigation of reactive specimens suggests a high probability that the antibody to HIV-1 is present" and "Although for all clinical and public health applications of the EIA both the degree of risk for HIV-1 infection of the person studied and the degree of reactivity of the serum may be of value in interpreting the test, these correlations are imperfect. Therefore, in most settings it is appropriate to investigate repeatably reactive specimens by additional more specific or supplemental tests" (1). Interestingly, there are countries like Great Britain where the diagnosis of HIV status is based on the ELISA test alone. No Western blot or any other test is needed there. The only proper way for establishing the sensitivity and specificity of a given test is with a gold standard. However, since HIV has never been isolated as an independent purified viral entity (17-19), there cannot be a gold standard for HIV. The sensitivity and specificity of the antibody tests for HIV have instead been defined based on the assumption that HIV is the cause of AIDS. 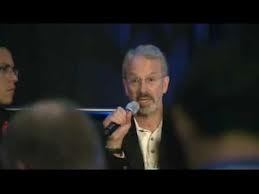 In this way, "The Abbott studies show that: Sensitivity based on an assumed 100% prevalence of HIV-1 antibody in AIDS patients is estimated to be 100% (144 patients tested)" and "Specificity based on an assumed zero prevalence of HIV-1 in random donors is estimated to be 99.9% (4777 random donors tested)" (1). "At present there is no recognized standard for establishing the presence and absence of HIV-1 antibody in human blood. Therefore sensitivity was computed based on the clinical diagnosis of AIDS and specificity based on random donors" (1). [Emphasis is mine]. Since there is no scientific evidence that the ELISA test is specific for HIV antibodies, a reactive ELISA test at any concentration of the serum would mean presence of non-specific or polyspecific antibodies (20). These antibodies could be present in all blood samples. They are most likely a result of the stress response, having no relation to any retrovirus, let alone HIV (21,22). In this case, a reactive test could be a measure of the degree of one’s exposure to stressor or oxidizing agents (15,16). The inevitable conclusion is that all positive reactions for antibodies to HIV are simply false positives. If nobody is positive for HIV, then people who react positive on the ELISA test do so due to something other than HIV. 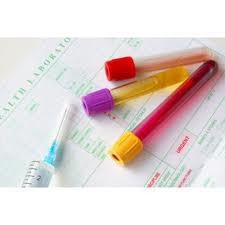 To uncover the meaning of these tests I propose a simple experiment: Take blood from three groups of people and run the tests highly diluted, undiluted and at a wide spectrum of dilutions in between. The first group would be a group of healthy people of many age groups; the second group would be a group of people from the conventional AIDS "risk groups"; the third group would be a group of people with clinical conditions both related and unrelated to AIDS. All groups would be subjected to both the ELISA and Western blot tests. Additionally, all blood samples could be subjected to the "the viral load test for HIV". The results of such an experiment could determine whether these test measurements bear any relationship to an individual’s level of exposure to stressor or oxidizing agents. If so, the tests could be salvaged as a measure of an individual’s level of intoxication. Let us find the economic support necessary to run this experiment. In the mean time, since people are reacting positive on tests that are not specific for HIV, let’s please stop labeling them as "HIV positive". I want to thank Mr. Albert Padovani, Director of Yorktown Medical Laboratory for permitting me to run the experiments reported here in his laboratory and for providing the reagents for the tests. Also I thank Tom DiFerdinando Executive Director of Health Education AIDS Liaison (HEAL) in New York City for editing the manuscript for this article and for his valuable suggestions. ABBOTT LABORATORIES. Human Immunodeficiency Virus Type 1. HIVAB HIV-1 EIA. Abbott Laboratories, 66-8805/R5. January 1997: 5. EPITOPE ORGANON TEKNIKA. Human Immunodeficiency Virus Type 1 (HIV-1). HIV-1 Western Blot Kit. PN201-3039 Revision # 6. FEINBERG MA & VOLBERDING PA. Testing for Human Immunodeficiency Virus. In: COHEN PT, SANDE MA and VOLBERDING PA. The AIDS Knowledge Base. Boston: Little, Brown and Company, 1994: Section 2. PINS MR, TERUYA J and STOWELL CP. 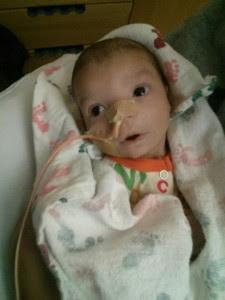 Human Immunodeficiency Virus Testing and Case Definition: Pragmatic and Technical Issues. In: COTTON D and WATTS DH. The Medical Management of AIDS in Women. New York: John Wiley & Sons, 1997: 163-176. METCALF JA, DAVEY RT and LANE HC. Acquired Immunodeficiency Syndrome: Serologic and Virologic Tests. In DEVITA VT, CURRAN J, HELLMAN S, et al. AIDS: Etiology, Diagnosis, Treatment and Prevention. 4th Edition. Philadelphia: Lippincott - Raven, 1997: 177-196. WEISS SH. Laboratory Detection of Human Retroviral Infections. In: WORMSER GP. AIDS and Other Manifestations of HIV Infection. New York: Lippincott-Raven, 1998: 175-200. PAPADOPULOS-ELEOPULOS E, TURNER V & PAPADIMITRIOUS JM. Is a Positive Western Blot Proof of HIV Infection? Bio/Technology 1993; 11:696-707. PAPADOPULOS-ELEOPULOS E, TURNER V, PAPADIMITRIOU J & CAUSER D. HIV Antibodies: Further Questions and a Plea for Clarification. Curr Med Res Opin 1997; 13:627-634. HODGKINSON N. Science Fails the "AIDS Test" In: AIDS: The Failure of Contemporary Science. How a Virus that Never Was Deceived the World. London: Fourth Estate, 1996: 232-262. JOHNSON C. Factors Known to Cause False-Positive HIV Antibody Test Results; Zenger’s San Diego, California, September 1996a: 8-9. JOHNSON C. Whose Antibodies Are They Anyway? Continuum (London) September/October 1996b; 4(3):4-5. TURNER VF. Do Antibody Tests Prove HIV Infection? Interview by Huw Christie Editor of Continuum. Continuum (London) Winter 1997/8; 5(2):10-19. SHENTON J. Positively False: Wrong Tests and Long-Term Survivors. 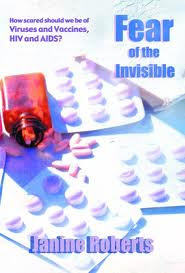 In: Positively False: Exposing the Myths around HIV and AIDS. London: I.B. Tauris, 1998: 238-239. GIRALDO RA. Milking the Market. Will Mothers Dish Out the W.H.O. Formula? Continuum (London) 1998; 5(4):8-10. PAPADOPULOS-ELEOPULOS E. Reappraisal of AIDS - Is the Oxidation Induced by the Risk Factors the Primary Cause? Medical Hypothesis 1988; 25:151-162. GIRALDO RA. AIDS and Stressors II: A Proposal for the Pathogenesis of AIDS. In: AIDS and Stressors. Medellín, Colombia: Impresos Begón, 1997: 57-96. PAPADOPULOS-ELEOPULOS E, TURNER V, PAPADIMITRIOU JM & CAUSER D. The Isolation of HIV: Has it Really Been Achieved? The Case Against. Continuum (London) 1996; 4(3):S1-S24. LANKA S. No Viral Identification: No Cloning as Proof of Isolation. Continuum (London) 1997; 4(5):31-33. DE HARVEN E. Remarks on Methods for Retroviral Isolation. Continuum (London) 1998; 5(3):20-21. WING MG. The Molecular Basis for a Polyspecific Antibody. Clin Exp Immunol 1995; 99:313-315. SNYDER HW and FLEISSNER E. Specificity of Human Antibodies to Oncovirus Glycoproteins: Recognition of Antigen by Natural Antibodies Directed Against Carbohydrate Structures. Proc Nat Acad Sci USA 1980; 77:1622-1626. BARBACID M, BOLOGNESI d & AARONSON SA. Humans Have Antibodies Capable of Recognizing Oncoviral Glycoproteins: Demonstration that These Antibodies are Formed in Response to Cellular Modification of Glycoproteins Rather than as Consequence of Exposure to Virus. Proc Nat Acad Sci USA 1980; 77:1627-1621. 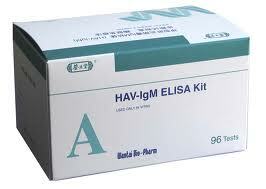 Good article on ELISA test for HIV detection. Is this test efficient to detect early chances of HIV in the body i.e within 1 month or so of possible contamination?